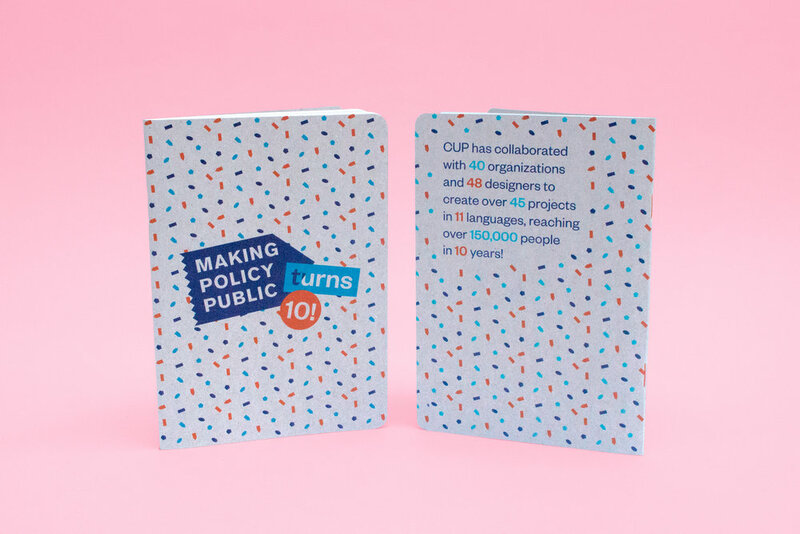 At the Center for Urban Pedagogy (CUP), we recently celebrated the tenth anniversary of Making Policy Public, one of CUP’s Community Education programs. Linked by Air designed the logo and color system for this particular milestone, and I used them to make print and digital assets for the yearly fundraising events and appeals. Our recent Benefit event involved themed notebooks, programs, signage, and posters, whose design and production I was responsible for.